From January 29 to February 7, 2019, Shihan António Pereira was in the French state of Reunion Island in the Indian Ocean. The island of Reunion has been very active since its membership in the KWF and will celebrate the "FIRST INDIAN OCEAN CHAMPIONSHIP " on Sunday, May 12 with the presence of our president Shihan Antonio Pinero. 26-27.01.2019 under the auspices of KWF Ukraine: Kyokushin kai Federation of Ukraine led by CR Dmytro Nikolaiev (4 dan), KWF kyokushin winter schools were held in the cities ofMykolaiv and Dnieper, 500 athletes from Mykolaiv, Dnipropetrovsk, Cherkasy, Zaporizhia and Kherson regions took part in the events. Each new day students thoroughly honed their skills in two stages, the first training began (from 9:00 - 11:00) devoted to kihon and kata, the second training (from 14: 00-16: 00) focused on kumite training. All athletes were divided into groups by level of preparedness. Due to the large number of participants, several halls were used simultaneously. The "Kumite-marathon" became a real test for all participants, where everyone showed what he was capable of, mobilized all his strength to achieve the main goal - to become the best. On the third day, school participants passed certification (kyu-test), having increased their stylistic qualifications, and became proud owners of new belts. The first training took place on January 25 at 18.30 - 20.30. The second special New Year training took place on January 26 from 11.00-13.00. From 15.00 to 16.00 took place Narada with the participation of 53 managers of the centers where organization of preparations for the next international events was held, such as the Tokyo Grand Prix on March 24, the Chicago Championships June, the European Championships in Porto, Portugal on October 18-19. The third training took place between 4:00 PM and 6:00 PM, followed by a photo session. 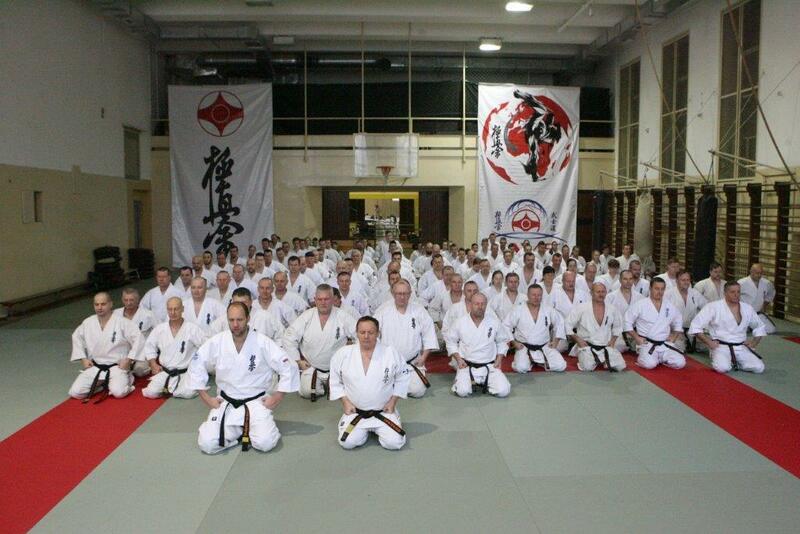 The organizer of the Seminar was the Polish Kyokushinkai Organization, whose leader is shihan Andre Drewniak. From January 16 to 19, in Luanda, was organized by Sempai Mário Silva and under the technical guidance of shihan Antonio Pereira (5th Dan), KWF representative in Portugal and Brazil, the first Karate Kyokushin Seminar. More than fifty students from various provinces of Angola participated in this seminar. The goal was well defined. Technician; to make known the spirit and philosophy of kyokushinkai karate according to the KWF technical program. Kumite, Kata, Kihon and Geiko gone. Special care for the work of hardening and physical-mental resistance. And also create the conditions for the KWF to be officially represented in Angola. In addition to the training sessions, with two distinct classes, children and adults, some publicity initiatives were made with the Angolan media, Tv and Radio. Emphasize the commitment, dedication and fantastic will to learn from all. kohais, sempais and senseis. It became clear that other initiatives of this kind will be necessary in the near future to satisfy the students' wishes. The culmination of this first Seminar was the general training in the famous bay of Luanda on the morning of Saturday, January 19 with the presence of the TV. Text and photos by shihan Antonio Pereira. Group photo over the ocean in Luanda.